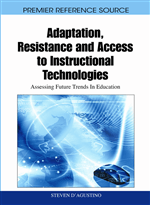 I delivered a webinar recently on technology enhanced learning. It was a 90-minute session (possibly too long) in Adobe Connect attended by some 15 faculty. Several of the evaluation comments suggested that the first third of the webinar, dealing with shared understandings of terminology and a history of the subject under discussion, was unnecessary, superfluous. I'm struck by how often in my current practice in British higher education that the contextualisation of what we do is often treated as a luxury. Pragmatism pervades everything and there is an assumption that we all know where we are, we all know what needs to be done, and the objective is simply to do it. Universities have often been accused of being ivory towers, places where people ruminate detached from reality, but there must surely be a place for a pause and a thought. Perhaps the reason I reacted with some discomfort to the suggestion that the historical context to a discussion of technology enhanced learning was superfluous has to do with the reactions I get from colleagues on another project currently underway. The POISE project, part of the HEA Internationalisation change initiative, stands for personal orientation to international student experience. The original idea had been to establish to support individuals to identify their own epistemological assumptions, students and staff, in order that a more meaningful dialogue about adjusting to higher education study might be possible. But whilst the stress of the original project was on personal orientation the realities of implementation in the British HE context consistently stresses the student experience, the here and now, today's problem being dealt with by today's student support person. There is a sense in which holistic medicine, whole person medicine, has been replaced by the liberal prescription of the pragmatic pill. I found myself turning back to the concept, the principles, of Kaupapa Māori. I am not Māori, and so these principles are necessarily engaged with at an intellectual and emotional level rather than from within, based on three periods of working in New Zealand since 1998. In 1990 Graham Hingangaroa Smith outlined six principles of Kaupapa Māori within the context of education, its implementation and research. Other theorists have expanded these concepts further in the years since. This is an evolving body of a communities’ intellectual, spiritual and inter-personal exploration of identity. In a very real sense this is ‘identity-work’. It is something we appear to do very little of in the British ‘academy’. Tino Rangatiratanga – The Principle of Self-determination: to sovereignty, autonomy, control, self-determination and independence, allowing for and advocating Maori control over their own culture, aspirations and destiny. 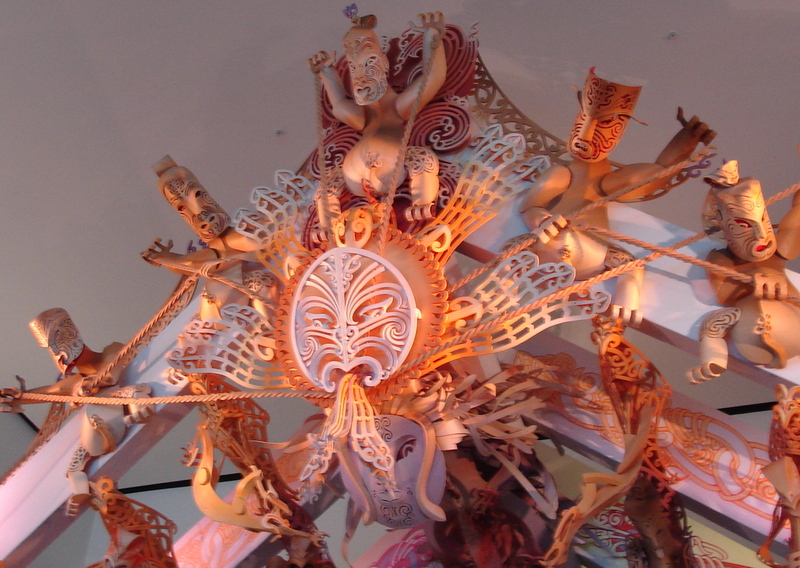 Taonga Tuku Iho – The Principle of Cultural Aspiration: asserting the centrality and legitimacy of Te Reo Māori (language), Tīkanga (customary practices, ethics, cultural behaviours) and Mātauranga Māori (wisdom). Ako Māori – The Principle of Culturally Preferred Pedagogy: acknowledging Māori teaching and learning practices and learning preferences. Kia piki ake i ngā raruraru o te kainga – The Principle of Socio-Economic Mediation: the need to positively alleviate the disadvantages experienced by Māori communities. Whānau – The Principle of Extended Family Structure: acknowledges the relationships that Māori have to one another and to the world around them. Core to Kaupapa Māori and key elements of Māori society and culture, acknowledging the responsibility and obligations of everyone to nurture and care for these relationships. Kaupapa - The Principle of Collective Philosophy: the shared aspirations and collective vision of Māori communities. Ata - The Principle of Growing Respectful Relationships (Pohata 2005): relates to the building and nurturing of relationships, negotiating boundaries, creating respectful spaces and corresponding behaviours. It is not only the substance, and there is undoubtedly something substantial about Kaupapa Māori, that appeals to me, rather it is the principle that behind each action, each intervention, there is a purposeful connection to a collective sense of people, of belonging. There appears to be a disconnect between the day-to-day activities of providing education in the British context and an engagement, a deliberate and conscious engagement, with the development of the individual that education is intended to form. Kaupapa Māori, and indeed other world views that have developed independently of the western ‘scientific’ positivist paradigms, create different epistemological frameworks, different spaces within which educational discourses occur. I learnt in a very personal way in 2008 when I joined Massey University that the Māori world view does affect the way New Zealand educators, of all cultural backgrounds, see the world in which they educate. I drew a model on the whiteboard and a colleague simply asked ‘does it have to go that way up’. It is subtle, not always as evident to them as to those visiting from the outside, but it is there, a cultural ‘undertone’ that enriches and suffuses the discourse. Whilst we have done much to think about student centred learning in the UK, we often appear to mean placing the student at the centre of our machine not centering the student. We prepare them to fit into the universal mechanical rational world we anticipate needs and wants them, we do not equip them well to reshape themselves and their world. I continue to believe that understanding the context, presumptions and assumptions of any particular discipline subject or issue is an important precursor to meaning making. I believe an epistemological self-awareness is a prerequisite to a meaningful education.